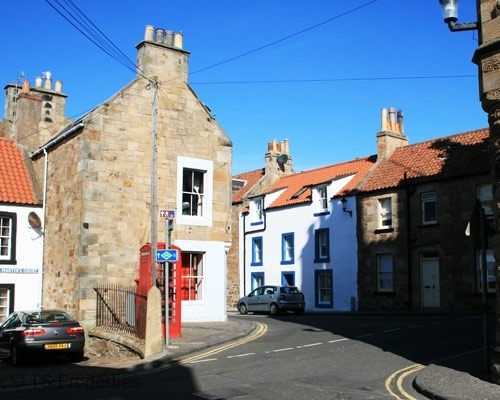 A truly exceptional architect designed renovation which has completely transformed this historic home in the picturesque town of Anstruther. Only a few steps from the south facing seashore, the property is ideal for family holidays or golfing breaks. Bakerswell house is situated in a lovely position between Anstruther and Cellardyke and benefits from being a few steps from the sea front. All the way up the fife coast there are many great things to do and see with many small shops, pubs, resurants, galleries and craft centres. If you are sporty there are great golf courses, watersports and coastal walks with caves to explore. The house has 5 bedrooms and plenty living space. 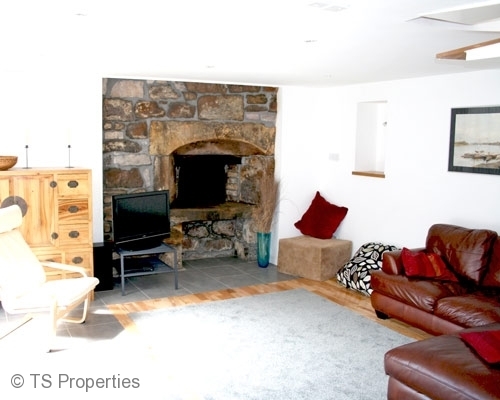 The living room provides a comfortable cosy space to chill out, watch tv or just relax with under floor heating warming toes. The french doors open out to a courtyard linked to the upper deck and garden by an external staircase. This living room is also linked directly to the 33ft (10m) long, stunning, sun drenched kitchen/dining room via an internal spiral stair. 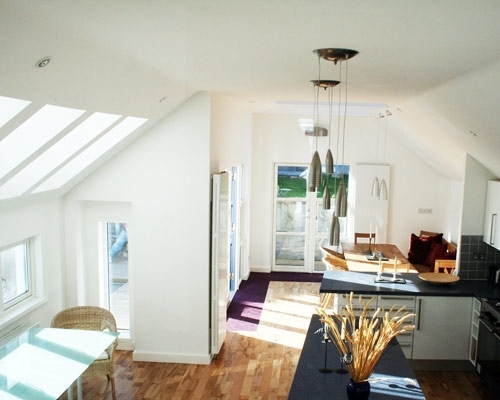 The kitchen is well equipped with an American style fridge freezer, range cooker, microwave and dishwasher with large expanses of worksurfaces and breakfast bar.The dining area seats up to 10 people and there is also a separate informal seating area. From the dining area french doors open out to a sheltered fully enclosed, sunny deck and raised garden. The 5 bedrooms (3 doubles and 2 twin) are spread over three levels with a bathroom with spa bath, 1 ensuite shower room and 1 shower room together with a separate WC at ground floor level. All beds have crisp cotton sheets and cosy duvets. In addition there is a spacious cloak room at ground floor level with adjacent utility room providing a storage area for golf clubs, beach toys, coats and boots.